2016-04-19 09:33 Hoopa Hello, I was on your hub and asked about this earlier, but I don&apos;t think anyone was around. 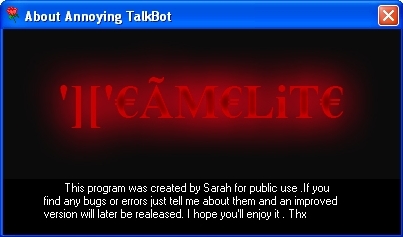 I downloaded the bot and when I opened it after applying the dll it wasn&apos;t the one with the anime girl like on the screenshot. Is it possible that the one with the anime girl is a different version? Thanks for the one provided, but I was wondering if someone could upload the one with the anime girl like in the first screenshot?